Welcome to the start of another exciting fall arts season in Wilmington! You’ll find lots of interesting events, performances and exhibitions to attend throughout the month of October and November. What are you looking for? – OperaDelaware offers an exciting season of beloved operas. Cavalleria Rusticana/Pagliacci will be performed at The Grand Opera House on Nov. 4, 9 and 10. – Delaware Theatre Company kicks off its 34th season with The Outgoing Tide by Philadelphia native Bruce Graham, Oct. 10–28. – The DuPont Theatre presents the Broadway experience in Delaware. This fall: Elvis Lives, Oct. 2–7, and Anything Goes, Oct. 30–Nov. 4. 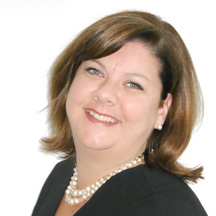 – Delaware Children’s Theatre features child and adult actors in well-loved family fare. The Sound of Music opens Oct. 7. – Wilmington Drama League offers Tom Griffin’s The Boys Next Door, Oct. 26–Nov. 4. – Delaware Symphony Orchestra is offering an orchestral Chamber Series in October. All performances are at 8 p.m. in the Gold Ballroom at the Hotel du Pont. – World Cafe Live at The Queen features offers up-and-coming talent and singer-songwriters, plus an acoustic jam session every Tuesday night, a blues jam session with David Bromberg every Wednesday night and live music at lunchtime. 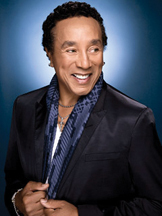 – Just a few highlights of the Grand Opera House’s October and November lineup: Chris Botti, Paula Poundstone, Smokey Robinson, Blues Travelers, the Doobie Brothers and more! – Christina Cultural Arts Center presents its annual celebration of the arts, the Christi Awards Gala, on Nov 2. – First State Ballet, Delaware’s professional ballet company, presents Sleeping Beauty at The Grand Opera House, Oct. 13–14. 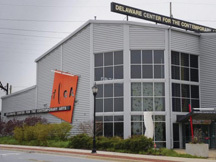 – In addition to the various performing arts centers, Wilmington also boasts the Delaware Art Museum, Delaware Center for Contemporary Arts and Delaware History Museum. All are currently running fantastic exhibitions, and a number of these institutions offer a variety of classes. This city has something for everyone’s taste! Check out www.inwilmingtonde.com for more information on the art happenings in Wilmington. 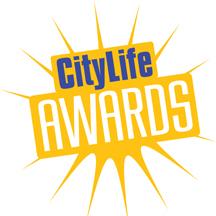 CityLife Awards will be held on Tuesday, Nov. 13, at World Cafe Live, 500 N. Market Street. The event is a celebration and recognition of individuals, companies and organizations that have championed the City of Wilmington in the past year. Award categories are Wilmingtonian of the Year, Rising Star of the Year, Entrepreneur of the Year, Neighbor/Neighborhood of the Year, and Partnership of the Year. Honorary co-chairs of the event are Hal Real, founder and CEO of World Cafe Live and Real World Entertainment, and John Hawkins, president of ab+c creative intelligence. The Downtown Fall Fitness Fest will be held on Saturday, Nov. 3, and will focus on wellness and children’s sports activities. 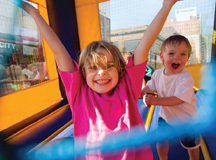 This year’s Fitness Fest will include moon bounces, youth bands and an autograph tent, as well as active sports areas for baseball, football, lacrosse, tennis, volleyball, running, soccer and other kids’ activities. 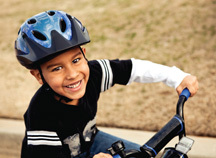 New this year will be representatives from area youth sports and wellness organizations, who will be available to discuss their programs with kids and families. The free event will take place in Rodney Square and the surrounding area. Go to www.downtownwilmington.com for more information on both events.